Todd Snider On Mountain Stage Accompanied only by his harmonica and his guitar, the sly storyteller brings his rootsy act to Mountain Stage for the 10th time. 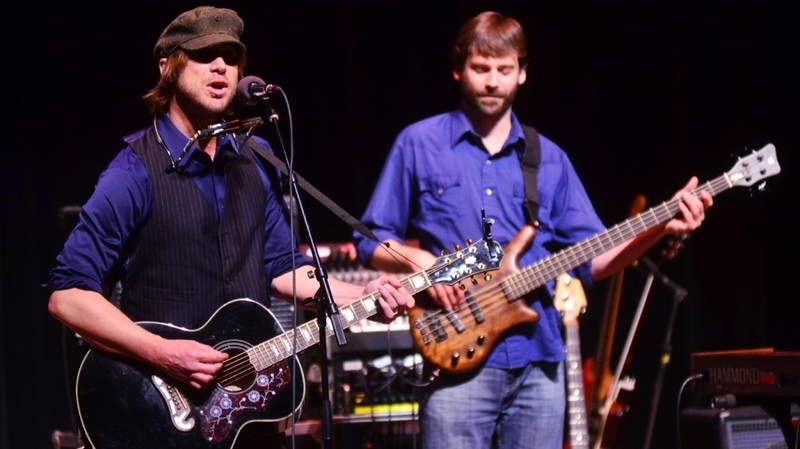 Todd Snider performs on Mountain Stage. "Conservative Christian Right-Wing Republican Straight White American Males"
One of roots music's slyest, sharpest singer-songwriters, Todd Snider makes his 10th appearance on Mountain Stage here, recorded live on the campus of West Virginia University in Morgantown. Snider has built his reputation by touring mostly solo, accompanied only by his harmonica and guitar. This time, he enlists Great American Taxi, heard later this week, whose music also appears on Snider's latest double-live album, aptly named The Storyteller. Snider ritualistically lets the audience know that he likes to share his opinions, "not because I think they're smart, or because you need to know them," but "because they rhyme." Snider begins this set with the high-school-hallway David and Goliath tale, "Is This Thing Workin'?" — from his 2008 EP Peace Queer — and follows with live favorites "Tension" and the story-song "45 Miles." Snider closes with his satirical anthem, "Conservative Christian Right Wing Republican Straight White American Males." This segment originally aired on April 25th, 2011.